FROM LEFT TO RIGHT: June, Maureen, Joan and Chris. 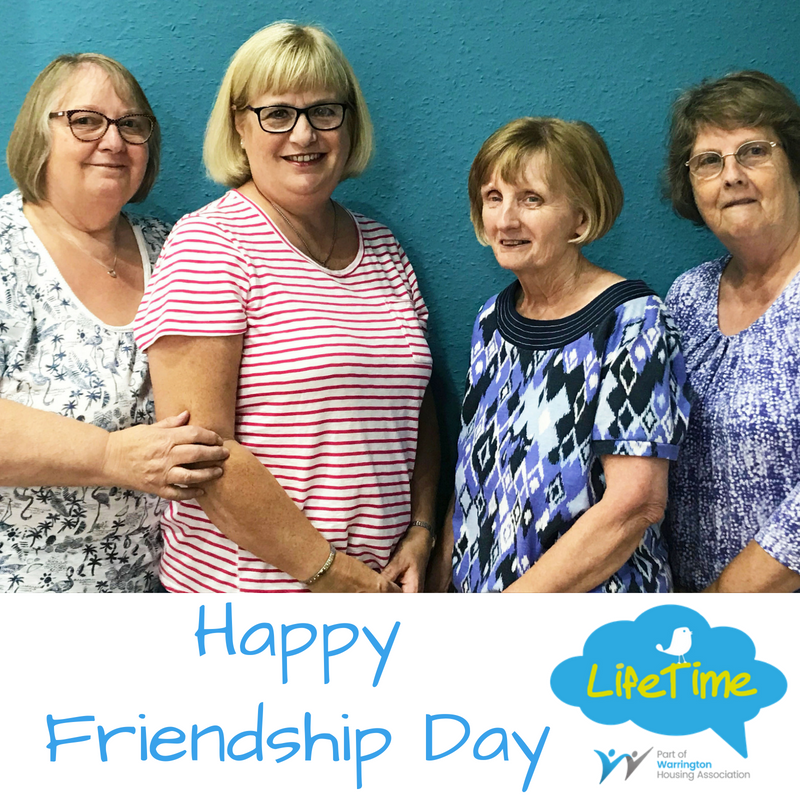 To mark International Friendship Day, four pals June Murphy, Maureen Foster, Joan Vardy and Chris Somerset, who met while enjoying LifeTime activities talked to us about their lives and share the secret to a good friendship. June, aged 66, and Maureen – who are both originally from Liverpool – met five years ago when they both bought properties in a new apartment block in Chapelford. Maureen, aged 65, who has two children and grandchildren, has lived in Warrington for 45 years, and June, who is also a LifeTime volunteer, relocated to the borough to be closer to her daughter. June really enjoys reading and spending time with family – and trips to Gibraltar – where her son lives, and Maureen is also very family orientated – helping out at her granddaughter’s school. Joan and Chris met each other at LifeTime in a textiles group. Joan, aged 69, who is originally from Sale, has lived in Warrington for 25 Years, and has four children, and enjoys family time, reading, gardening and attending various groups at LifeTime, while Chris, aged 67, who is a former Care Worker, is Warrington born and bred. When she married, she moved to Appleton, and went on to have four children, and now really loves spending time with her five grandchildren and attending LifeTime. June said: “We came together as four friends at LifeTime in an adult colouring activity session and now enjoy many other LifeTime activities together from films, quizzes, games afternoon and going on trips. “We all love each other’s company and love to talk – but politics is banned! I think the key to our friendship is that we all have a wicked sense of humour and we never take life too seriously. The friends are now looking forward to their long weekend summer trip away together to Llandudno – which has been 12 months in the making.